يعتبر برنامج ادوبي افتر افكت عملاق المونتاج الخرافي و الذي يضيف الكثير من الحركات الخيالية والتأثيرات الخلابة على اعمالك و صورك البرنامج غني عن التعريف كغيره من برامج ادوبي العملاقة لبرامج التصميم. يعتبر برنامج ادوبي افتر افكت cs6 من البرامج الإحترافية التي تعمل على إنشاء المؤثرات الحركية والإنتقالية و دمجها ببعضها مع ملفات صوتية.و هو البرنامج الذي تعمل به مختلف القنوات في صنع الشارات والمؤثرات التي نراها على شاشات التلفاز لسهولة التحكم به وإعطاء الحرية التامة في كل شيء تريد عمله. 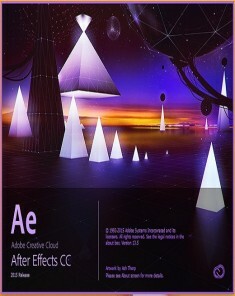 After Effects CC. All new in 2015. Create incredible motion graphics and visual effects. The industry-standard motion graphics and visual effects toolset now brings you better ways to work, connecting your desktop and mobile apps with all your creative assets, so you can create your most stunning visuals yet. Bold new ways to put your ideas in motion. Create production-quality graphics and Looks on your mobile devices as well as your desktop. 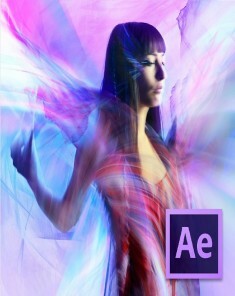 And get immediate access to all your assets - including Adobe Stock images - from right inside After Effects. See how the latest release helps you go from initial concept to finished composition faster than ever. Access all your After Effects assets anywhere with CreativeSync. Adobe CreativeSync keeps everything you need up to date and at your fingertips across your desktop, web and mobile apps. It automatically syncs your Looks, colors, images, Adobe Stock assets, settings, metadata and more. It also powers your Creative Cloud Libraries, giving you instant access to your favorite assets right from within After Effects. With CreativeSync, you can start your project in any app on any device, pick it up where you left off and finish it on your desktop. Millions of high-quality images. Right inside After Effects. Find the perfect photo or graphic to jump-start your next project and make it amazing. The new Adobe Stock service offers 40 million curated, royalty-free assets that are all available from After Effects CC in just a few clicks. And Creative Cloud members get special pricing - 40% off Adobe Stock when you add it to your membership. It's the industry's best value. What's new in Adobe After Effects CC 2015: Find the perfect image or graphic for your project Save time finding, licensing and managing royalty-free stock images and graphics now that After Effects CC integrates with the new Adobe Stock service. Once you save an image to your Creative Cloud Libraries, it's immediately available for use in your compositions and other creative projects.